This is a soufflé with wonderful flavours from the apricots and cardamom. (I’ve used ½ teaspoon of ground cardamom, but if you want a more subtle taste, just use a little less.) 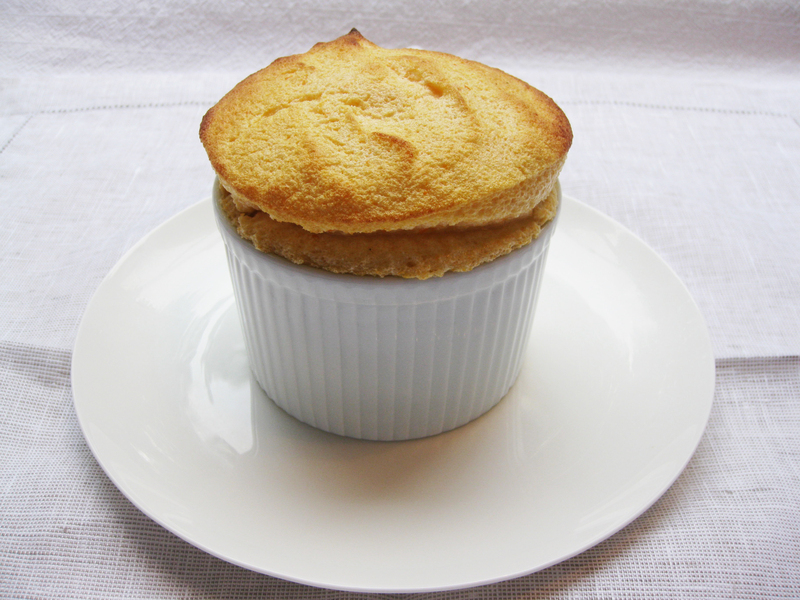 Some soufflés are made using a custard mixture, which invariably uses flour, and others tend to use cream. But I’ve opted for a incredibly light and fluffy version without any alternatives to the flour or cream – just concentrating on the whisked egg whites and the fruit. Preheat the oven to 180°C/350°F/Gas 4 and grease 4 x large, deep 350ml ramekins with dairy-free margarine. Put the apricots and half the sugar in a small, heavy-based saucepan and heat gently over a low heat for about 10 minutes, mashing frequently with the back of a wooden spoon, until the fruit has softened into a puree. Strain the mixture through a non-metallic sieve into a large mixing bowl thoroughly and mix in the cardamom and vanilla extract. Mix the cornflour together with 1 teaspoon of water in a small bowl to make a runny paste and whisk into the strained apricots mixture. Meanwhile, in a clean bowl, whisk the egg whites using a hand-held electric whisk or food processor until they form stiff peaks. Add the remaining sugar and continue whisking until they form glossy peaks. Add a third of the whisked egg whites to the apricot mixture and whisk until well blended. With a metal spoon, carefully fold in the remaining egg whites until they are all thoroughly mixed in. Pour the mixture into the prepared ramekins and bake for 10–12 minutes until very lightly browned on top and well risen. Take out of the oven and serve immediately.